A slow zoom in approach to a large red spiral galaxy rotating in deep space. Pretty Girl Typing on Tablet PC in Coffee Shop. Shot on RED Digital Cinema Camera in 4K (ultra-high definition), so you can easily crop, rotate and zoom, without losing quality. 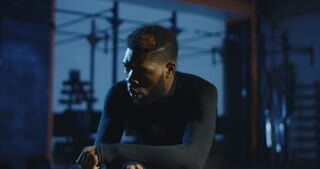 4K slow motion shot of focused African-American man in sportswear breathing deep trying to recover after heavy workout. 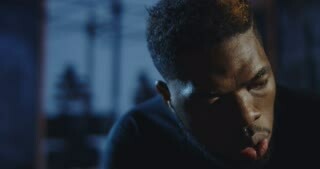 Shot on Red cinema camera. Focused African-American man in sportswear breathing deep trying to recover after heavy workout. 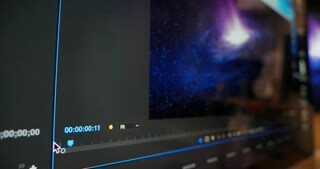 Slow motion 4K shot on Red cinema camera. Shirtless athlete pushing large tyre forward with control of professional coach while working out gym. Slow motion 4K shot on Red cinema camera. 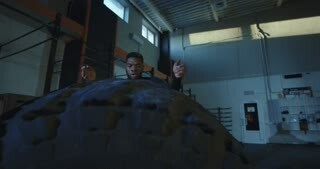 Athletic African-American man in black sportswear flipping large car tyre few times and recovering breath after exercise. Slow motion 4K shot on Red cinema camera. A spiral galaxy rotates in deep space. Looping. A slow approach to a large spiral galaxy in deep space. A top down bird's eye view of a rotating spiral galaxy in deep space with a black hole in the center. Looping. A slow approach to a large spiral galaxy in deep space with heavenly light rays emanating from the center. A slow tracking dolly closeup shot of a video editor interface screen playing video of a simulated spiral galaxy.